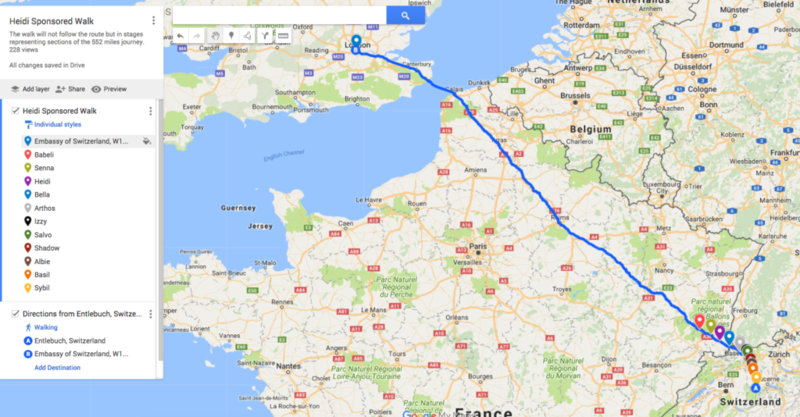 There are 552 miles to walk from Entlebuch in Switzerland to the Swiss Embassy in London and we’re trying to cover the equivalent distance to raise money for Heidi, who needs treatment for ectopic ureter. Swiss born Sybil undertook the first leg of the walk. She’s still very young so covered 2 miles, representing the distance from Entlebuch station along Haupstrasse in the direction of Wolhusen. The yellow mark shows Sybil’s distance. Basil’s ten mile leg moved us away from the Entlebuch valley and north past Willisau (the orange marker). Albie (brown marker) and Shadow (red marker) took us out of the Canton of Lucerne and into Aargau as far as far as Brittnau. Then it was Salvo’s turn (green marker) and he took us another ten miles past Aarburg to just past Trimbach in the Canton of Solothurn. His housemate Izzy, still being a puppy, walked a mile and a half to the canton border with Basel-Landschaft. 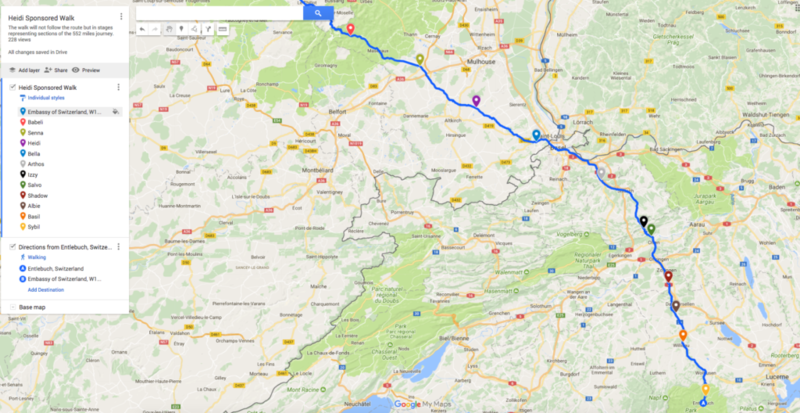 over the border into France, Heidi walking for herself (purple), Senna (olive) and his sister Babeli (bright red) who each did just over 12 miles each (19.6km) and took us into the Haut-Rhin region as far as Sewen. 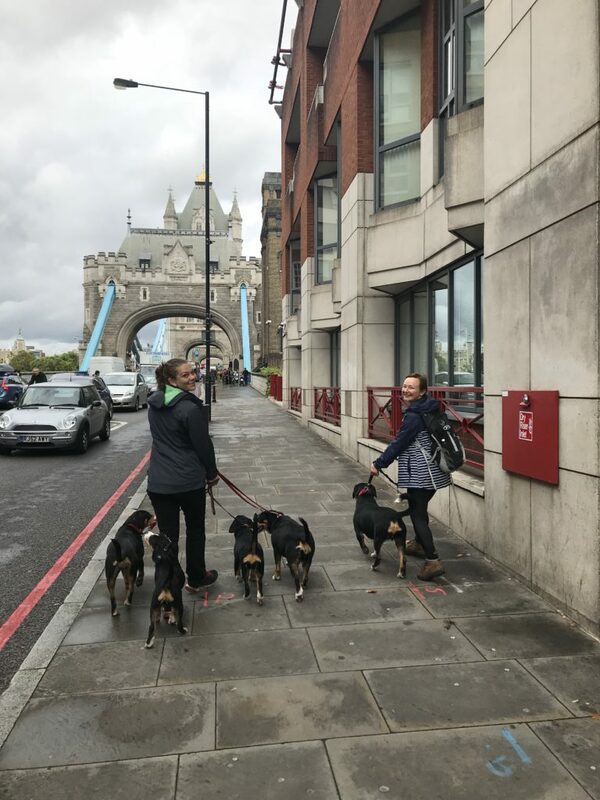 We are still waiting for news of other walkers from today, but the 11 dogs named above have covered 95 miles of the total route so far and there is more happening tomorrow.